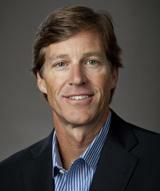 Ken Murrah leads the Business Development and Experiences Management teams at LoyalNation. Prior to LoyalNation, Murrah spent several years developing another incentive and event packaging company. Murrah was responsible business development in loyalty programming and managing several key partnerships including Churchill Downs and the Official Hospitality Program for the Kentucky Derby. Murrah spent 16 years in sports television working for NBC Sports, the Ironman Triathlon World Championship, and owned his own production company. His clients included ESPN, CBS Sports, and Special Olympics, Inc. During that time, Murrah won ten National Sports Emmy Awards and three International Monitor Awards for Excellence. In addition, he has been a national columnist for Yahoo Sport and a frequent guest on WJXT television in Jacksonville, Florida.